Posted on 27/11/2013 by U.N. 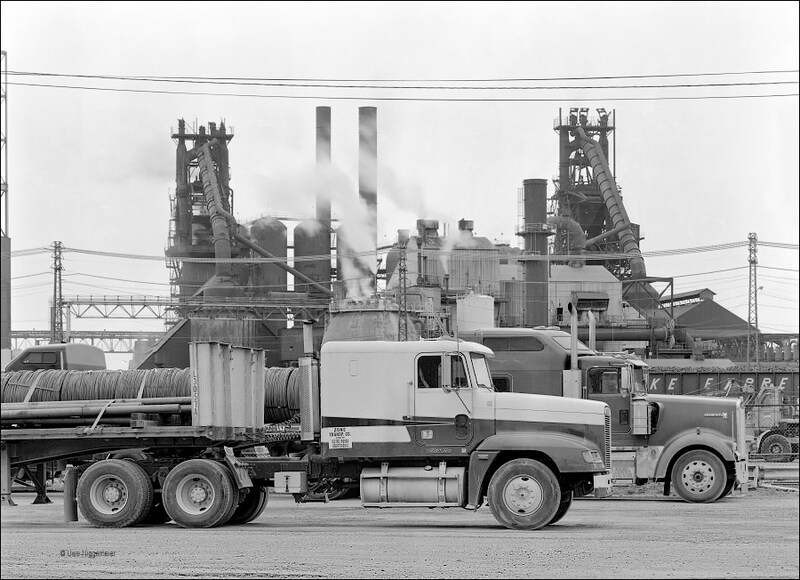 The Republic Steel company just fired up it’s new electric arc furnace in Loraine, Ohio. 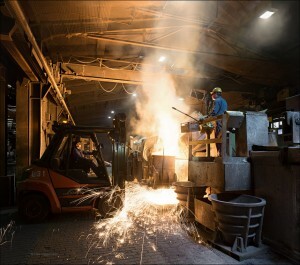 It replaces two blast furnaces and a BOF steel making shop idled five years ago. Blast furnace No. 3 has a hearth diameter of 8,68 meters, furnace No 4 is 8,83 meters wide. The BOF shop was built in 1971 and it contains two 220 ton vessels. Posted on 14/11/2013 by U.N.
was rolled yesterday at the TSTG rail mill in Duisburg. 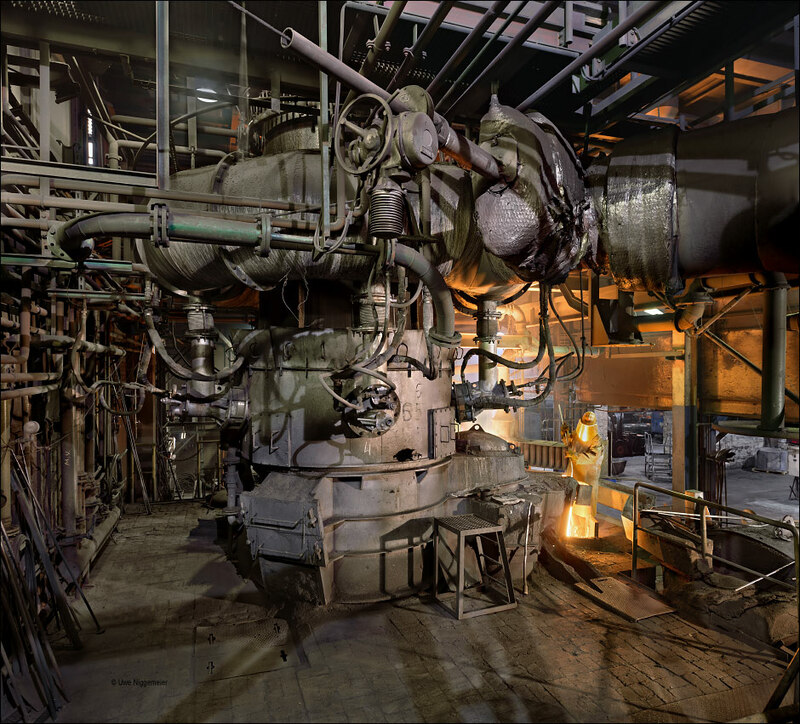 The rolling mill exists since 1894 built by the August Thyssen Hütte and sold to the Austrian Voest Alpine group in 2001. Voest is still producing rails at it’s Donawitz works in Austria. TSTG’s finishing stands were built in 1924 named “Fertigstrasse 1″ back then. Posted on 14/10/2013 by U.N. The iron foundry Eisenwerk Hasenclever was built on ground of the old Auhammer forge in Battenberg, Germany in 1913. Cast iron crankshafts become the main product. In 2011 the old cupola furnace was replaced by 6 induction furnaces to produce high temperature resistant steel castings. Posted on 30/09/2013 by U.N.
ESW Röhrenwerke in Eschweiler close to Aachen, Germany is the last survivor of the once huge Eschweiler Bergwerksverein (EBV) combine of coal mines and steel plants and it runs the only planetary tube rolling mill in Europe. The tube mill was founded in 1914 by the Eschweiler- Ratinger Maschinenbauaktiengesellschaft (ERMAG). In 1917 an open hearth shop was added to ensure the steel supply. In 1924 the plant was taken over by the Eschweiler Bergwerksverein (EBV), a mining company mostly owned by ARBED from Luxemburg. 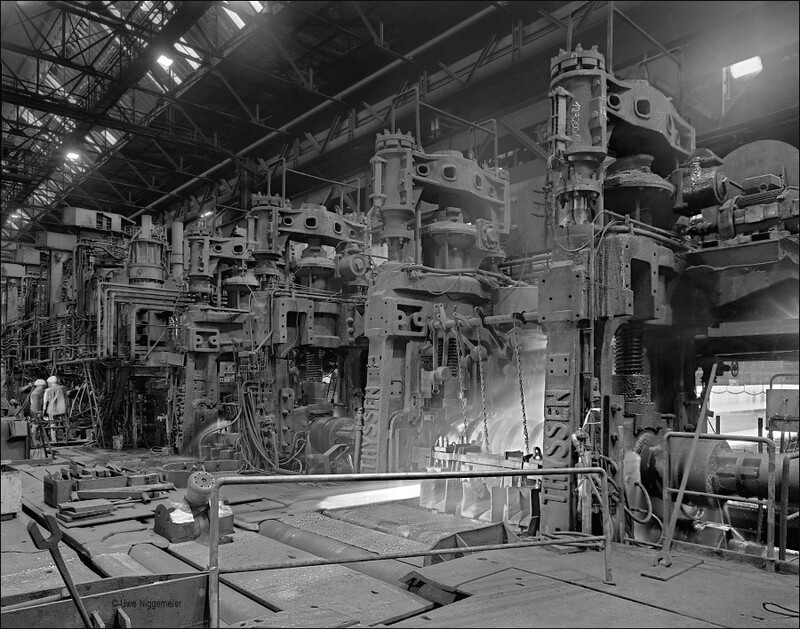 Pig iron was now supplied by the nearby EBV blast furnaces (Concordiahütte). 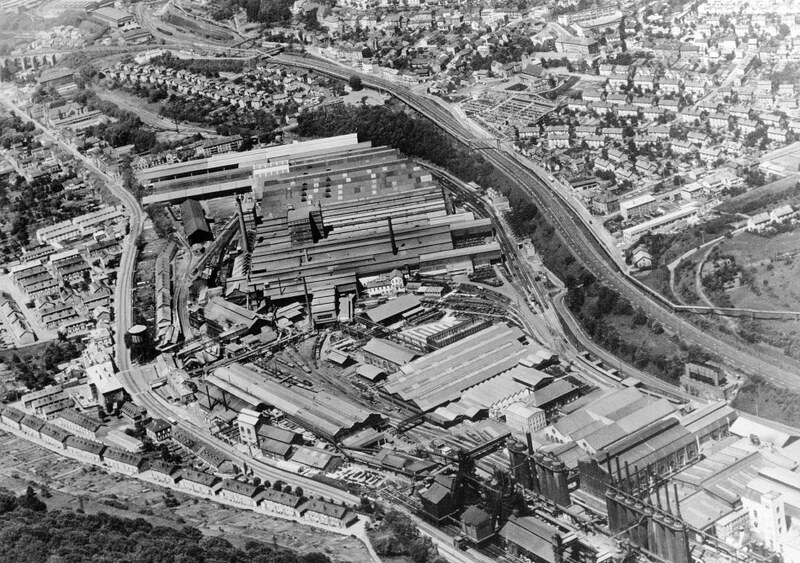 In 1957 a new electric arc melt shop was built on ground of the now dismantled blast furnace site. In 1964 a continuous caster was added. 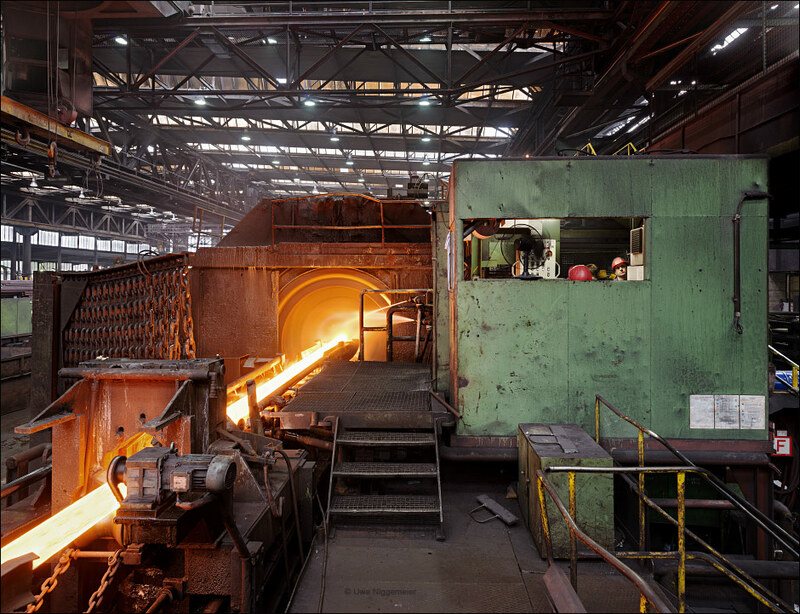 An new innovative planetary tube rolling mill (PSW) gradually replaced the outdated pilger rolling mills in 1976. In 1984 the site was sold to the Maxhütte steel company from Bavaria. The EAF melt shop closed in 1986 and one year later the Maxhütte went bancrupt. 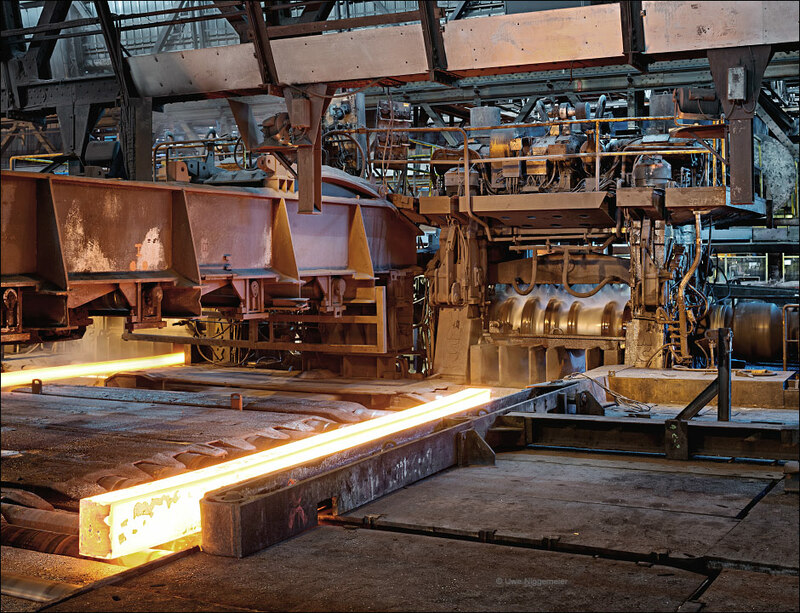 In order to save the new tube rolling mill the former plant manager, among others, took the mill over in 1987.ESW Röhrenwerke produces seamless steel tubes for the oil and gas industry, boilers and engineering. Posted on 23/09/2013 by U.N. 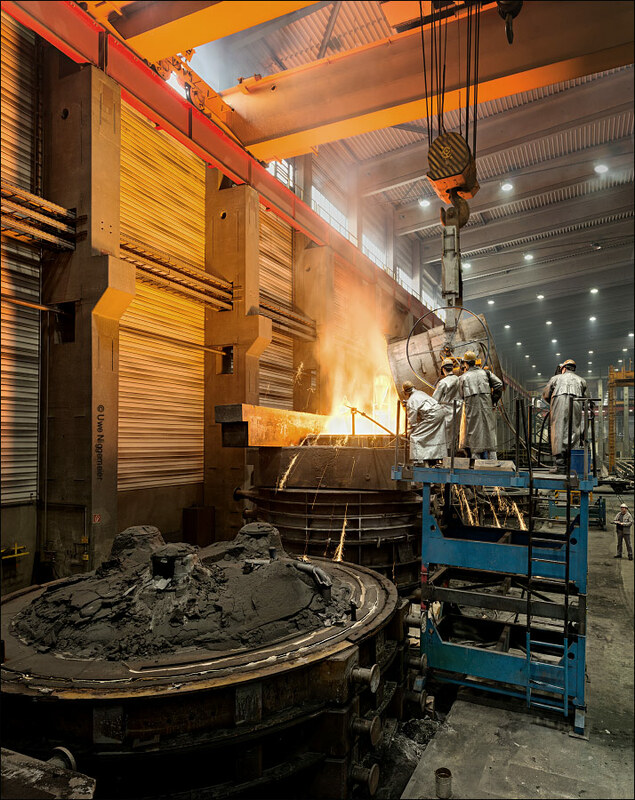 The iron foundry Zeitzer Guss runs one of the largest induction furnaces in Germany. 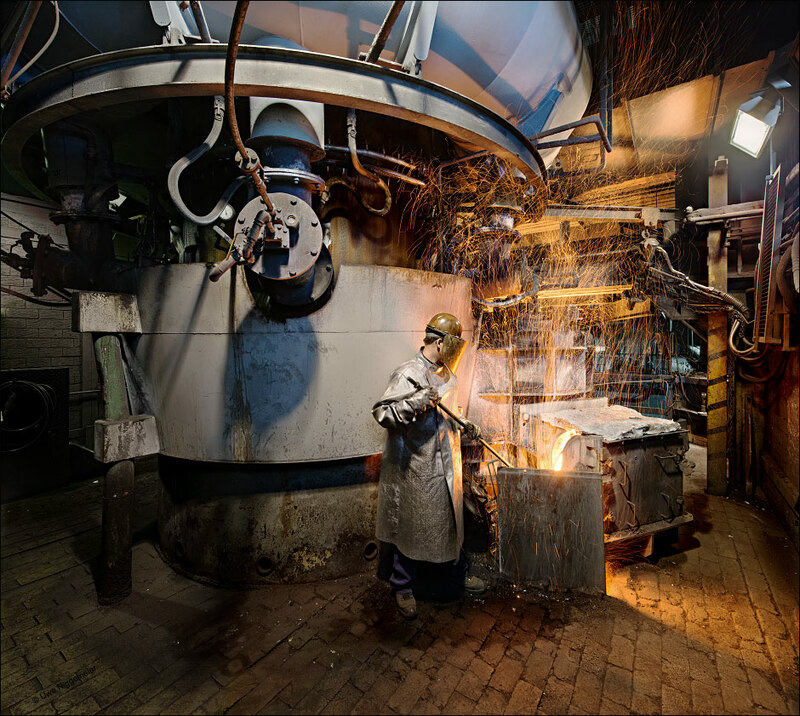 Founded in 2007 it is the latest foundry in Germany. It was built on ground of the much older ZEMAG (Zeitzer Eisengießerei und Maschinenbau AG) plant from 1855. 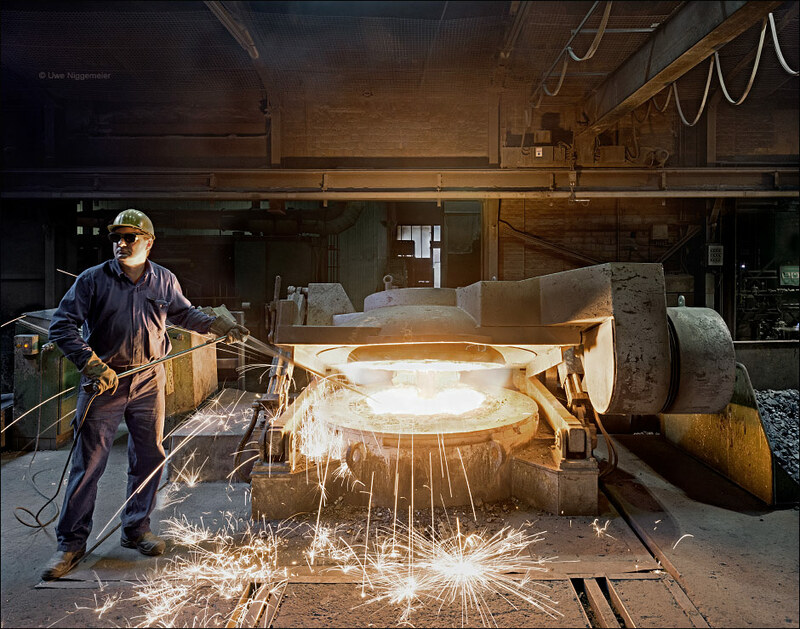 Zeitzer Guss produces hand formed castings up to 30 tons a piece. Posted on 17/09/2013 by U.N. 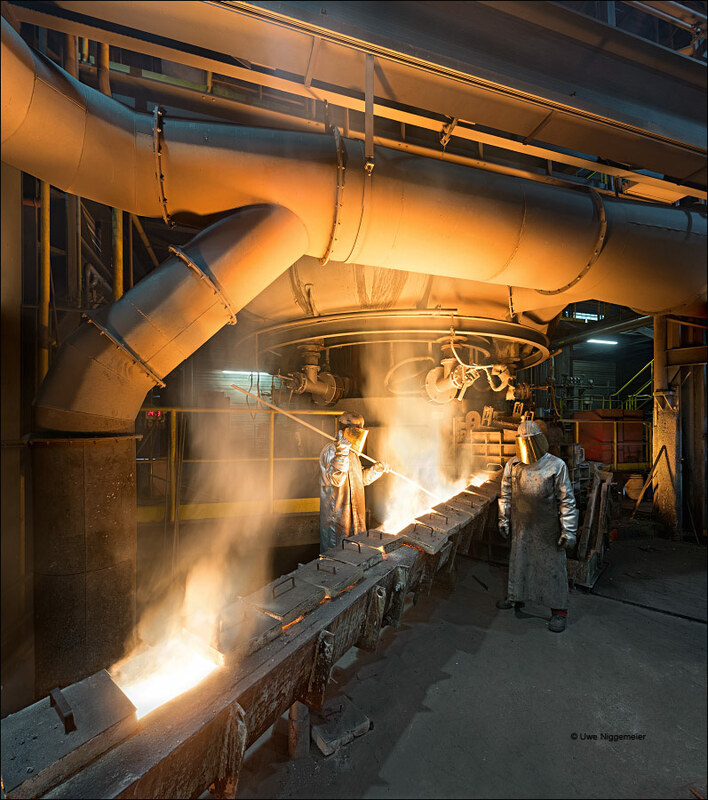 The Fritz Winter iron foundry in Stadtallendorf, Germany operates one of the largest foundry melt shops worldwide. 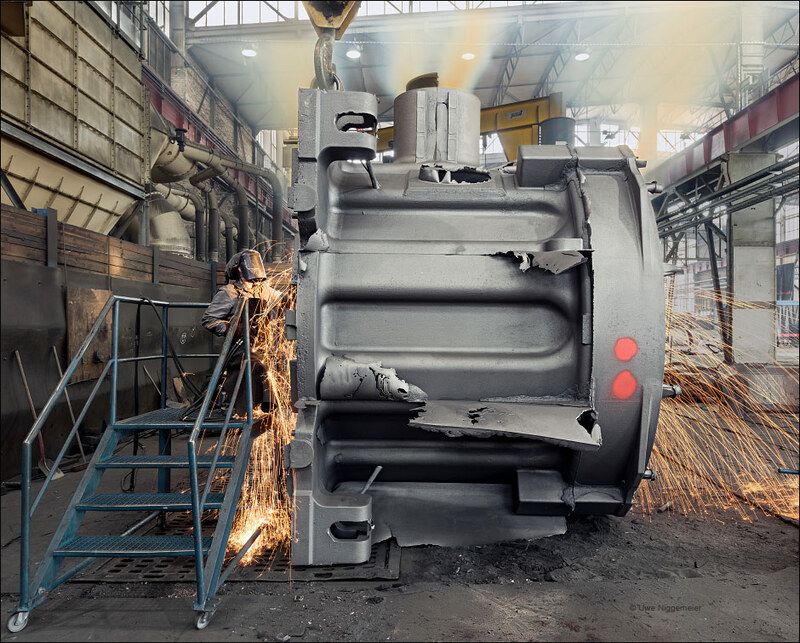 Two hot blast cupola furnaces and ten induction furnaces can melt up to 2800 tons of iron each day. The company was founded in 1951 on ground of a former explosives factory. 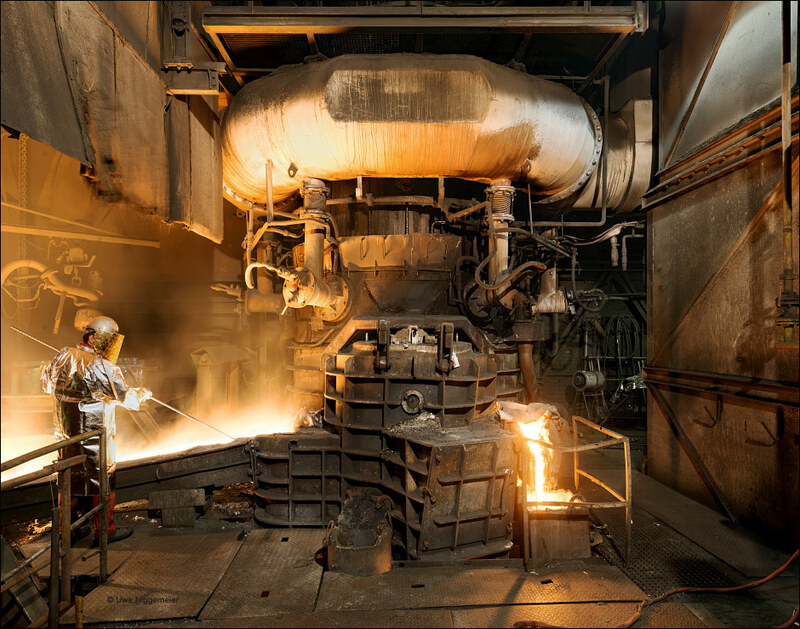 Today the plant is the largest independent foundry in Europe employing 3500 people. Main product are engine blocks and brake discs for the car industry.